At Canal Contracting our reputation for service and delivery is known as being second to none. You can be assured that you will be in safe hands no matter what the problem is, just like some of our customers will tell you. I would just like to thank once again all the staff at Canal Contracting, especially Paul and Trevor the CEO for all your kindness and sensitivity in what has been difficult circumstances, you kept me informed and with David Fuller made a sad time more bearable. The standard of service was a 100% and you went that extra mile. We would like to thank you for your efficiency in our hour of need. It is very reassuring to know you are there when we needed you. A special thanks to your engineer. I would like to thank all involved for such a quick and re assuring service throughout. With regard to Free Willy I think I now wait for the insurance company to review David's report before any decision on the boat can made, however my husband and I have discussed and due to the unusual circumstances to which led us to owning a second boat we feel we no longer want the responsibility of a second craft and will contact you on the decision we receive. Again many thanks to the team and Charlotte who over the phone was so re assuring to me at the time of the call. You will be pleased to know that today I completed the bank transfer to settle the final invoice in respect of the last works undertaken on NB Hope. Can I thank you both (and George) for all your help, patience and understanding during what has been a long and protracted episode and for me a rather expensive experience. The work has all been undertaken to the highest standards and I am delighted with the final results. I have not yet of course been able to test the operation during a period of cruising but hope to do so in the next few weeks as the weather improves. I have not also had the benefit of a detailed explanation of the operation of the new equipment and its monitoring devices. Although the work has been completed I trust that Keith will remain available to advise with queries as and when they arrive. I am also delighted with my decision to use the services of Canal Contracting. Their services have helped immensely in identifying a first class and knowledgeable contractor and have been available throughout the duration of the work to advise and support. 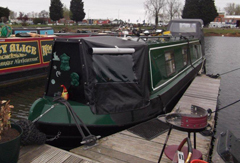 I would have no hesitation in recommending this service to anyone who has doubts or concerns about ensuring the quality and effectiveness of repair or upgrading work on their canal boat. Hi Paul, I'm delighted by a 1st class job from Iain. Thank you very much for all your efforts on my behalf. At times it gave you a lot of work but you always solved all problems. I'm more than happy to recommend yourself and Canal Contracting to any boater. 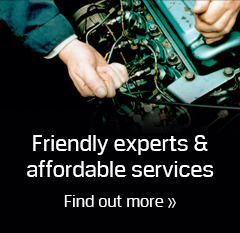 Please be assured of our complete satisfaction with your service. The staff we spoke to of RCR, and then Paul of Canal Contracting, could have not been more helpful, pleasant and reassuring. 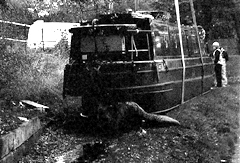 We were cruising on the Sheffield Canal, and given the position, would have found it difficult and time consuming to discover and procure assistance ourselves. When one source of help failed, Paul quickly found another, Thorne Marine, whose engineer was efficient and competent. We will be very happy to commend your service in the future.